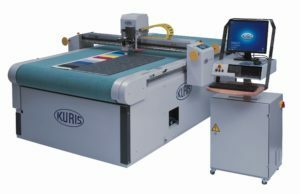 KURIS offers one of the most comprehensive product ranges of spreading and cutting and digital cutting technology and they possess a wealth of experience within this field. Using their wide-ranging product catalogue enables us to tailor a solution based on your specific requirements. 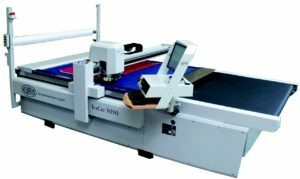 They also offer a range of smaller machines and supplies such as tables, cross-cutting, foam cutting, rotary cutting etc. Kuris is active in the supply of equipment to the fashion, apparel, automotive, aviation, space, industrial textile furniture and building industries, with more than 10,000 installations worldwide. Please see some videos and pictures below of the types of machine available and the substrates they can work with.